7812 MAQ MONACO (2002) Pelléas et Mélisande (Debussy). 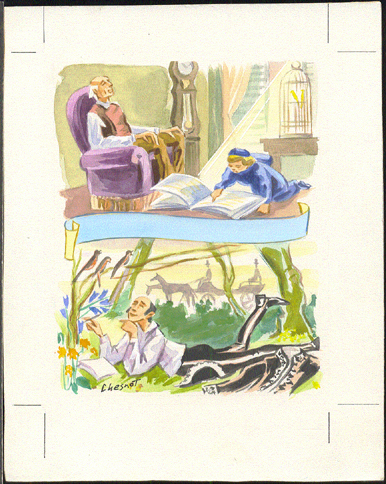 Pencil and crayon drawing of accepted design signed by artist Cyril de la Patelliere. Framed part of design measures 17 x 23 cm. Scott No 2258. 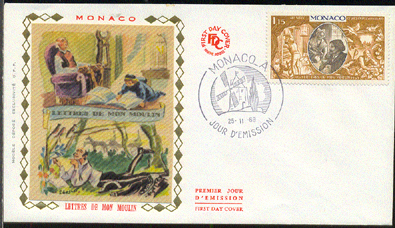 15425 MAQ MONACO (2009) Francesco Petrarcha. 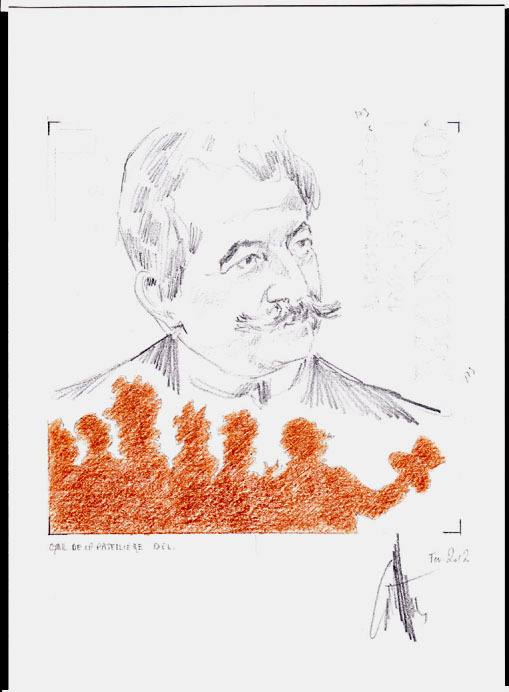 Pencil on posterboard drawing of accepted design signed by artist Cyril de la Patelliere. Framed part of design measures 17 x 23 cm. Scott No 2557. 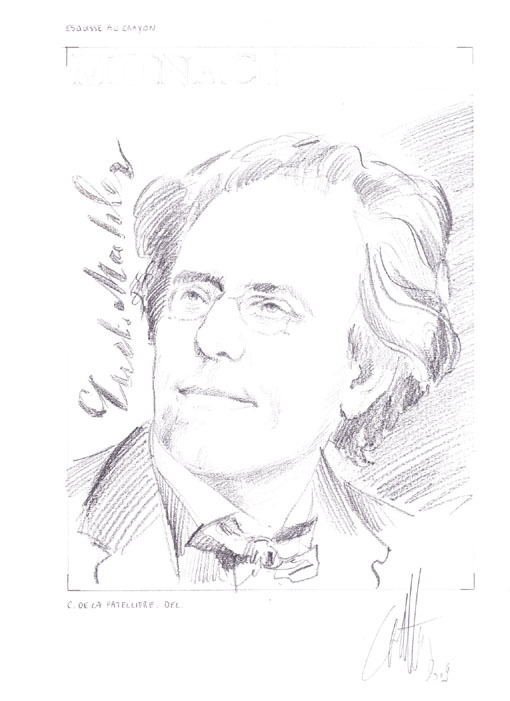 16733 MAQ MONACO (2009) Gustave Mahler. 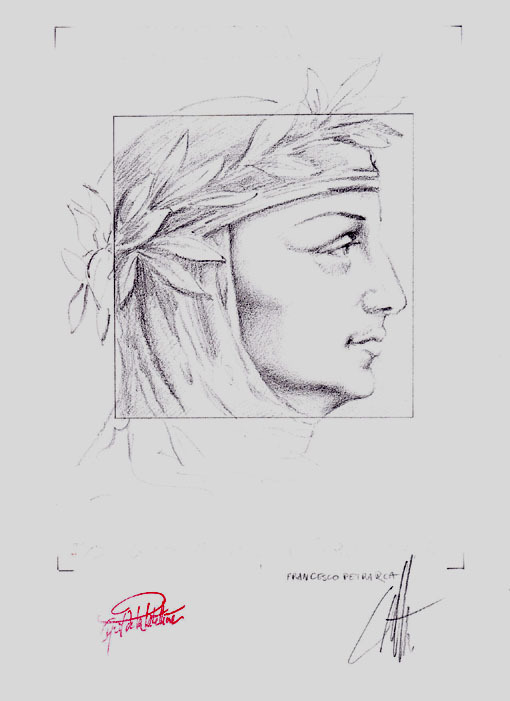 Pencil on posterboard drawing of accepted design signed by artist Cyril de la Patelliere. Framed part of design measures 17 x 23 cm. Scott No 2571. 15906 MAQ MONACO (2012) Auguste Lumière. 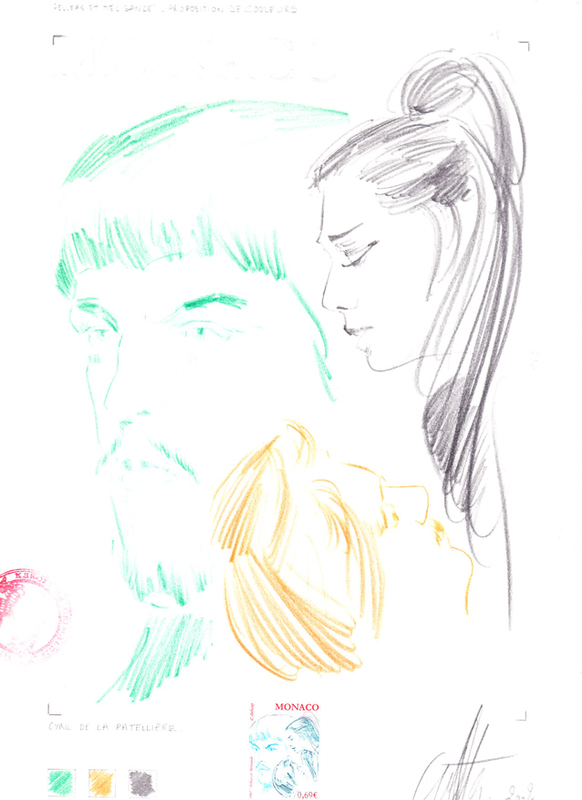 Preliminary artwork in pencil and pastel on posterboard, signed by the artist Cyril de la Patelliere. Design measures 17.5 x 17.5 cm. Scott No 2693. 15907 MAQ MONACO (2012) Auguste Lumière. 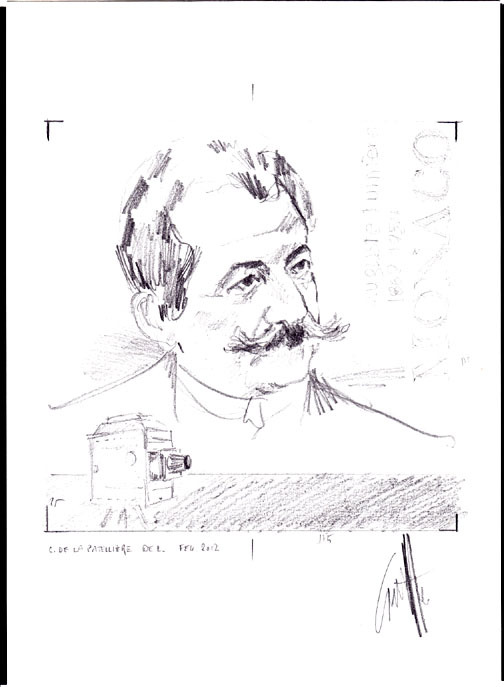 Preliminary artwork in pencil on posterboard, signed by the artist Cyril de la Patelliere. Design measures 17.5 x 17.5 cm. Scott No 2693. 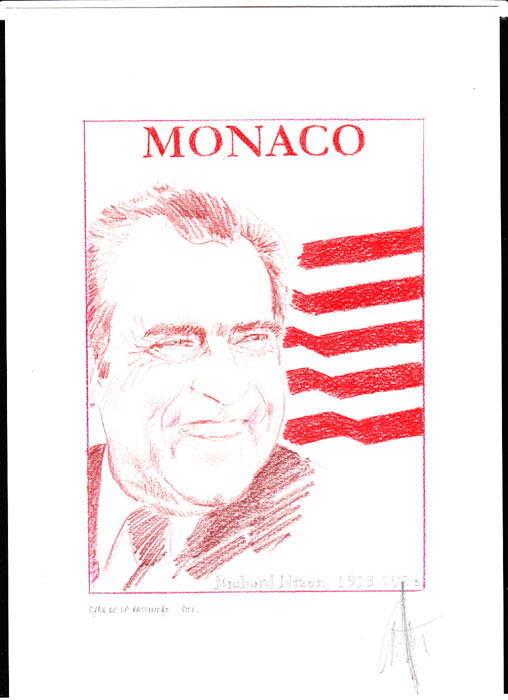 17904 MAQ MONACO (2013) Richard Nixon. American flag Artwork for unaccepted design. Pastel on posterboard signed by the artist Cyril de la Patelliere. Design measures 14 x 20 cm. 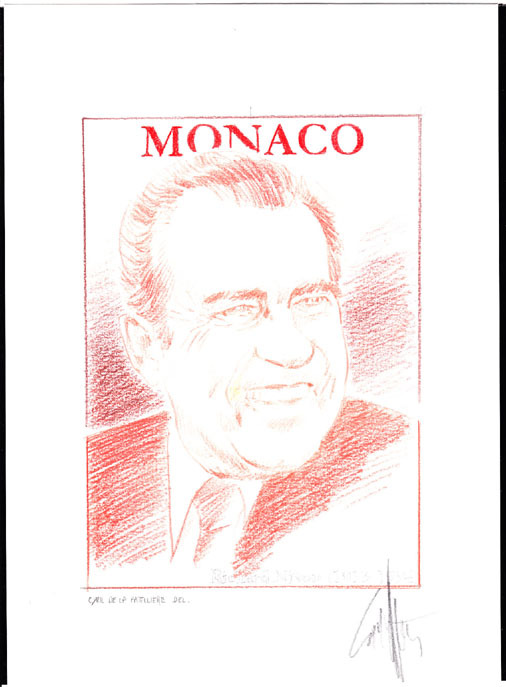 17905 MAQ MONACO (2013) Richard Nixon - study in orange and brown. Artwork for unaccepted design. Pastel on posterboard signed by the artist Cyril de la Patelliere. Design measures 14 x 20 cm. 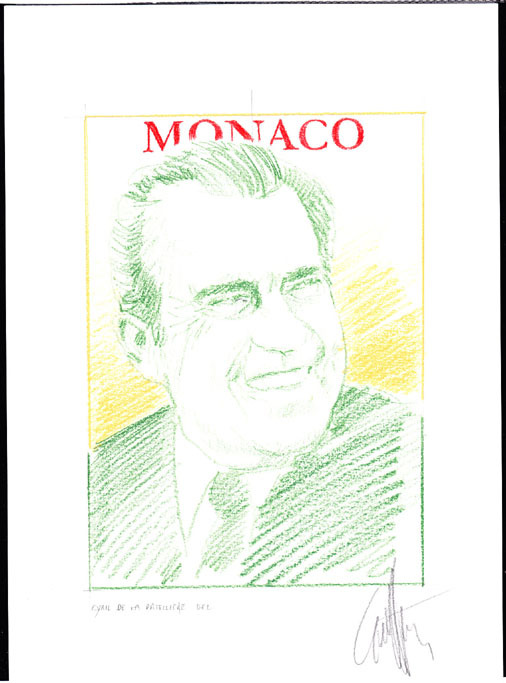 17906 MAQ MONACO (2013) Richard Nixon - study in green and yellow. Artwork for unaccepted design. Pastel on posterboard signed by the artist Cyril de la Patelliere. Design measures 14 x 20 cm.